Precious metal closed-end funds can earn income through options trading. 1. 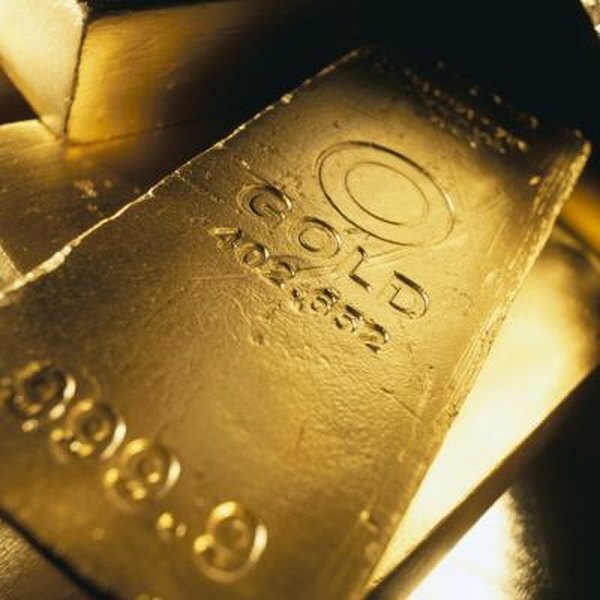 Are There Any Mutual Funds That Hold Gold Bullion? 2. Do You Have to Pay Taxes on Selling Gold? Investors seeking diversification often look beyond stocks and bonds to commodities such as precious metals. There are various ways to invest in gold and silver, including open-end mutual funds, direct ownership of bullion and coins, exchange-traded funds and shares in mining companies. Sophisticated traders use futures contracts and options on futures to profit from price moves in the metals. A closed-end fund is a popular alternative for metals investors, and several of these funds pay a handsome dividend. Many investors are familiar with open-end mutual funds and their younger siblings, exchange-traded funds. If you were to create a hybrid of these two fund types, you would have a closed-end fund, or CEF. Like a mutual fund, the assets under management are controlled by professional investment managers who receive a fee based on the amount invested in the fund. A CEF is also similar to an exchange-traded fund, in that a fixed number of shares of the fund are issued via an initial public offering and trade just like stock shares on an exchange. Precious metal CEF stock represents ownership shares in the bullion held by the CEF. Dividends are cash or stock distributions normally associated with stocks and stock funds, where they represent a portion of a corporation’s earnings. Unlike bond interest, which is subject to normal income tax rates, dividends are taxed at a special rate that is capped at 15 percent. The question naturally arises as to how a CEF invested in gold and silver bullion can generate a dividend. It is not through metal sales, since this would shrink the fund. Instead, many precious metal CEFs that pay dividends generate income through the sale of covered call options. A call is a contract that gives the buyer the right to purchase an asset at a given price, called the strike price, on or before the contract expiration date. The buyer pays the price of the contract, called the premium, to the call seller. Calls gain intrinsic value as the underlying asset’s price rises above the strike. In addition, calls have a vanishing time value based on the number of days until expiration. A call seller collects a premium that is the sum of these two sources of value. Precious metal CEFs can sell covered calls on futures contracts for the bullion they hold and pass the income to CEF shareholders in the form of dividends. Selling covered calls is a conservative, income-generating strategy. A call is said to be covered if the call seller already owns the underlying asset, in this case futures contracts on gold or silver bullion. The futures contracts specify delivery of gold or silver bullion at the strike price. Since the CEF already owns the bullion, it can collect the premium and, if necessary, deliver the bullion at the strike price. The CEF would then replenish its bullion with the cash it receives for selling the bullion. The strategy’s risk is that the CEF will have to replenish its bullion at a market price that is higher than the call strike price. If the market price to replenish its bullion is higher than the sum of the strike price and the premium proceeds, the CEF will take a loss on the transaction. However, sophisticated option-trading techniques called “spreads” can limit the CEF’s risk.